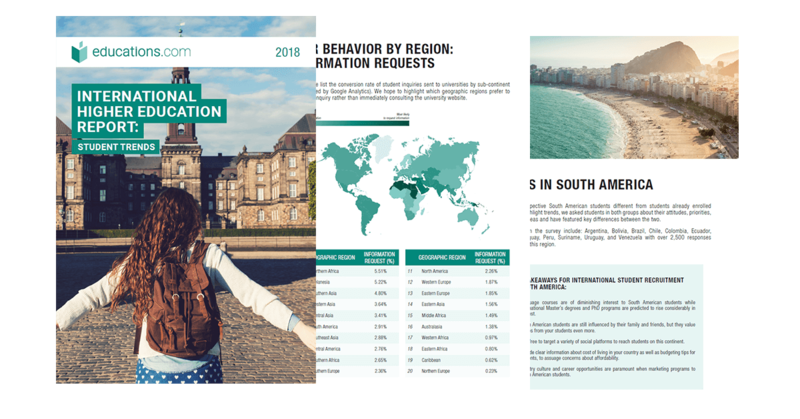 If you work in international student recruitment, don't miss your free copy of educations.com's International Higher Education Report: Student Trends 2018! Get insight into emerging trends in your target markets through a robust student survey completed by over 20,000 prospective and current students representing 178 nationalities. Targeted regional breakdowns of prospective student trends including Northern Europe, Southeast Asia, North America, South America, and Western Europe. How different regions convert on portals - a detailed breakdown of the way different students prefer to reach out. 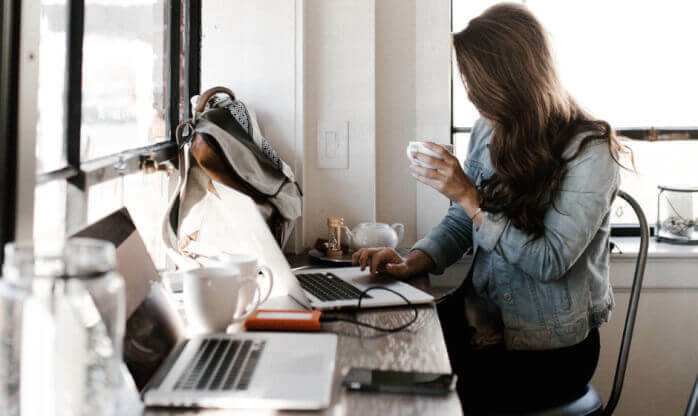 Trends in Bachelor's and Master's students from around the world - interest areas, concerns, top influences,where they would like to study abroad and more. The biggest challenges, target regions, marketing strategy and more from international student marketers and recruiters.